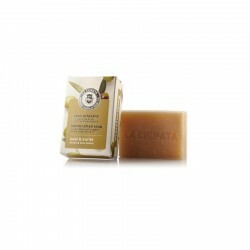 Honey & shea butter elaborated with organic extra virgin olive oil. Honey helps maintain our natural skin moisturizing level whilst shea butter soften and enriches it. Our extra virgin olive oil completes the moisturizing action, protecting the skin from external aggression.